Doom and Zelda don’t have a lot in common beyond heroes killing a bunch of monsters. 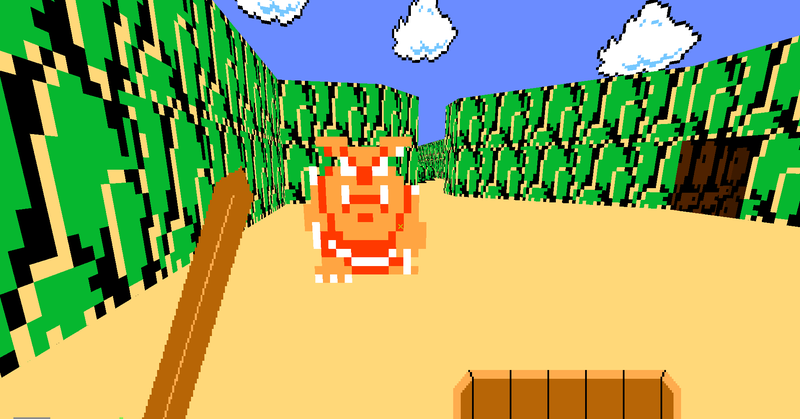 But one modder, Exkodius, has spent the last three years trying to recreate the original The Legend of Zelda in the Doom engine. Their work so far is impressive, with fantastic visuals that immediately capture the look of a classic 8-bit game, but in a 3D perspective. Unfortunately, Exkodius doesn’t have the time to fully complete their project. So they’ve released the files and a demo of the project onto the internet. “I really hope someone with the passion or just the know how can have some use of this and maybe even finish it?” said Exkodius on the Moddb page for their Zelda/Doom mod. Even unfinished, the mod is impressive and hopefully someone will either finish the mod or Exkodius will find the time to return to their project and finish it. If you want to play this Doom mod, download the files and follow the instructions on the Moddb page.